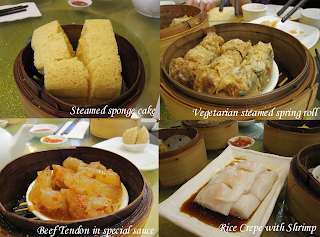 2013 UPDATE: Since this review, I've visited Beijing Beijing for Dim Sum many times. 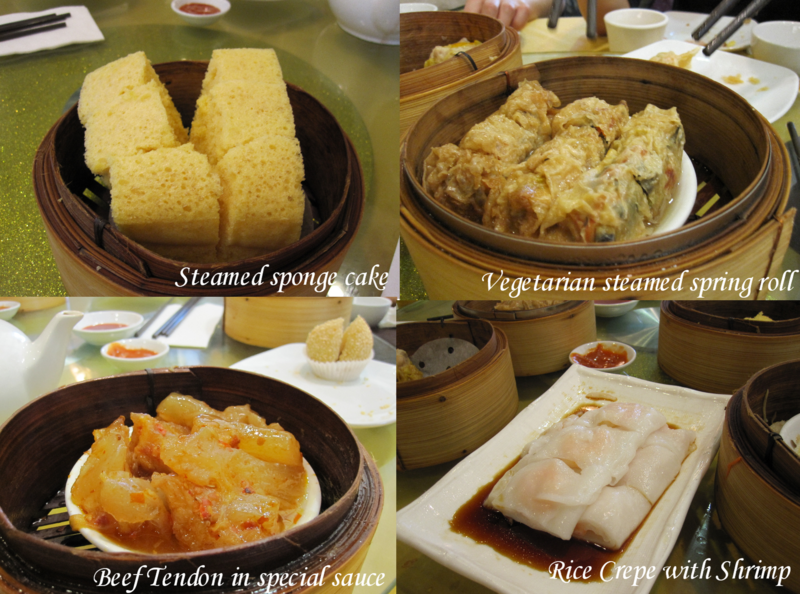 Over the past three years, the quality of the Dim Sum dishes have improved to the point where we bring friends to have Dim Sum. In fact, one of my friends even had a wedding banquet at Beijing Beijing. This is a sign that over time, the Dim Sum scene in Edmonton is constantly changing and improving. Ever since Beijing Beijing opened in the south side of Edmonton, I've only been there for dinner. Both times our experiences were mediocre at best. Which is surprising since their modern dining room setup with nice round tables, comfy chairs and a variety of differently shaped serving dishes suggest otherwise. So after the Good Friday service back in April, a few people suggested going to Beijing Beijing for Dim Sum. Not having gone before I hoped the experience would be comparable to our experience at Urban China. 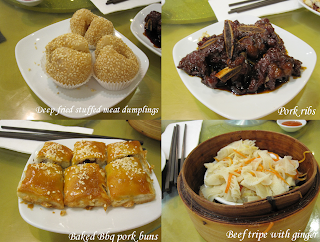 Here are a few selections of what we had- again very similar fare to what we had at Urban China. At Beijing Beijing there is also the cart system and you choose food you want as they go by. 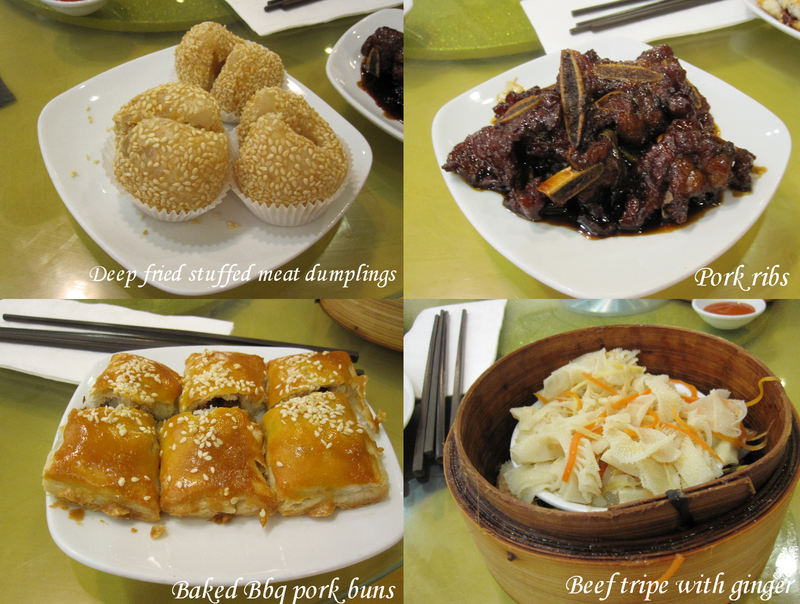 Because it was a very similar group of us that had gone to Urban China, we couldn't help but compare. Within the first few dishes, we all immediately agreed that everything was unnecessarily salty! 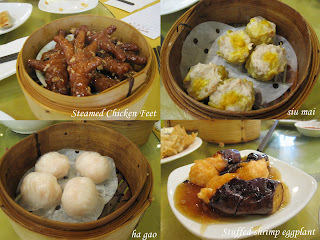 What the siumai (a signature dimsum dish) lacked in flavour it bore it's weight in salt content. The chicken feet was certainly hot (temperature) enough, but was chewy instead of soft - where at Urban China the meat seemed to fall off the bone. There was also the pervasive use of salt which took away from its true flavour. Another dish we had enjoyed was the Loa Wong Bao (Special Egg yolk bun), where a bun filled with egg custard is steamed and upon opening the egg custard flows out like lava. This also needs to be eaten hot. The one at Beijing Beijing seemed to carry more flour and was more dense. No custard flowed out either. All the other dishes seemed pretty typical, and unfortunately more salty then needed. 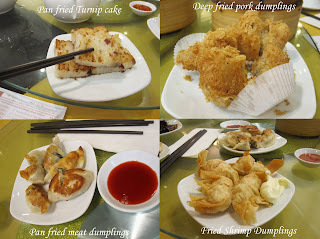 Price wise - there were the same number of ppl (8) at both dimsum places, but we felt that we were able to order twice the number of dishes for the same price ($15/ person)! This is rather significant considering that all dishes were overly salty! Beijing Beijing may have the decent service and modern atmosphere, but the price you pay, the potential wait time ( especially during peak hours), extra salt and quality may have you wanting to try something else . 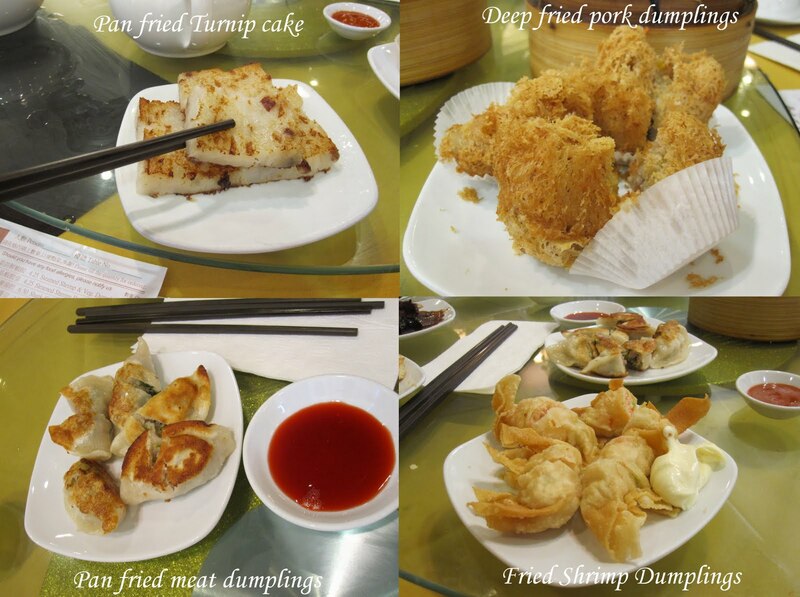 I am sure there are many - like me - who have been to dim sum, and have no idea what we are eating. I have a suggestion for you! That would be a blast - and then you can tell me what I am eating and I can learn something!